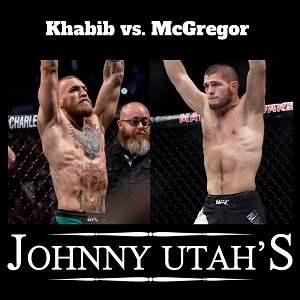 UFC 229 takes place on Saturday, October 6, 2018 at T-Mobile Arena in Paradise, Nevada. 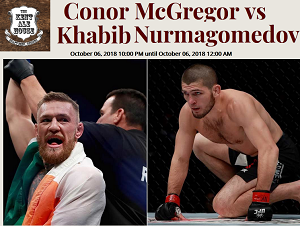 The featured match of this mixed martial arts PPV event is a UFC Lightweight Championship bout between undefeated current champion Khabib Nurmagomedov and former featherweight and lightweight champion Conor McGregor. $30 during the pre-sale [100 tickets]. 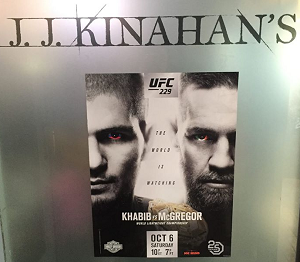 If there are any tickets left after the pre-sale, they will be selling them for $40 at the door. includes entry & top shelf mixed drinks, all draft beer (excluding Delirium) & house wine. 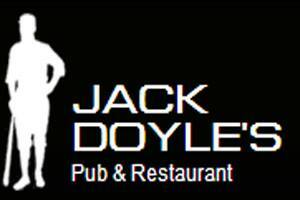 guaranteed seat in private back room, open bar from 10pm-1am, and a basket of apps for every two people. $10 at the door for general admission. Also taking seated RSVPs via phone.